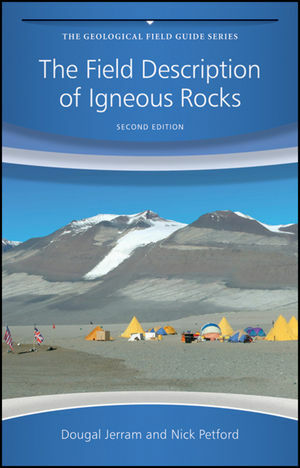 This book is for geoscience students taking introductory or intermediate-level courses in igneous petrology, to help develop key skills (and confidence) in identifying igneous minerals, interpreting and allocating appropriate names to unknown rocks presented to them. The book thus serves, uniquely, both as a conventional course text and as a practical laboratory manual. 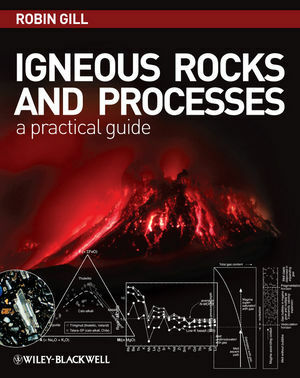 Following an introduction reviewing igneous nomenclature, each chapter addresses a specific compositional category of magmatic rocks, covering definition, mineralogy, eruption/ emplacement processes, textures and crystallization processes, geotectonic distribution, geochemistry, and aspects of magma genesis. One chapter is devoted to phase equilibrium experiments and magma evolution; another introduces pyroclastic volcanology. Each chapter concludes with exercises, with the answers being provided at the end of the book. Appendices provide a summary of techniques and optical data for microscope mineral identification, an introduction to petrographic calculations, a glossary of petrological terms, and a list of symbols and units. The book is richly illustrated with line drawings, monochrome pictures and colour plates. Additional resources for this book can be found at: http://www.wiley.com/go/gill/igneous. Robin Gill has lectured in igneous petrology and geochemistry at the University of London for 22 years, and before that held postdoctoral posts at the Universities of Manchester, Western Ontario and Oxford. He is author of Chemical Fundamentals of Geology (Springer) and editor of Modern Analytical Geochemistry (Addison Wesley Longman). 1. An introduction to magmas and magmatic rocks. 2. Basalts and related rocks. 5. Ultramafi c and ultrabasic rocks. 6. Andesite, dacite and rhyolite. 7. How magmas erupt – an introduction to pyroclastic processes and products. Appendix A – Mineral identifi cation using a polarizing microscope. Appendix B – Petrographic calculations. Appendix C – Symbols, units and constants used in this book. Companion website for this book: wiley.com/go/gill/igneous.